FOR OVER 25 YEARS, EAST COAST DORMER HAS BEEN THE AUTHORITY ON MODULAR HOMES AND MODULAR ADDITIONS. AT EAST COAST DORMER, YOUR ENTIRE ADDITION IS BUILT INSIDE OUR HUGE, WEATHER TIGHT, ENVIRONMENTALLY CONTROLLED FACILITY, ON A MOVABLE TRACK. UNDER THESE CONDITIONS, THE COMPLETE STRUCTURE IS PROTECTED FROM WEATHER DAMAGE THAT USUALLY RESULTS DURING SLOW TRADITIONAL OUTDOOR CONSTRUCTION. WE BELIEVE IN KEEPING THE OUTSIDE ELEMENTS OUTSIDE. ALL OUR MODULAR ADDITIONS UTILIZE 2X6 EXTERIOR WALL-FRAMING SYSTEMS. ALL SHEATHING, SUBFLOORING AND FRAMING IS “GLUED AND SCREWED” CREATING A MUCH STRONGER UNIT THAN CONVENTIONAL ON-SITE CONSTRUCTION METHODS. PLUS, EVERY PROCESS ON EVERY MODULAR ADDITION IS INSPECTED BY OUR HIGHLY TRAINED PROFESSIONAL ENGINEERS AND PROJECT MANAGERS… AS WELL AS OVERSEEN BY NEW YORK STATE THIRD-PARTY INSPECTORS-FROM START TO FINISH… TO ENSURE THE HIGHEST LEVEL OF QUALITY. EAST COAST DORMER, INC. IS A FULL-SERVICE CUSTOM MODULAR HOMES AND ADDITIONS COMPANY LOCATED IN BETHPAGE, NEW YORK. SINCE ITS INCEPTION IN 1994, ECD HAS BEEN THE PIONEER AND LEADER OF MODULAR ADDITIONS IN THE NEW YORK AREA. RECOGNIZING EMERGING TRENDS IN THE REAL-ESTATE AND CONSTRUCTION INDUSTRY, ECD RESTRUCTURED THEIR CORE MISSION TO FOCUS TOWARDS TWO PRIMARY BUSINESS LINES: CUSTOM MODULAR ADDITIONS FOR GARDEN STYLE COOPERATIVE COMMUNITIES, AND SINGLE FAMILY HOMES AND ADDITIONS. ECD’S STRENGTH RESTS UPON ITS EXPERIENCED PERSONNEL IN THE MODULAR CONSTRUCTION INDUSTRY. 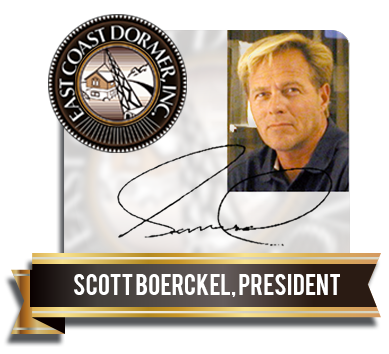 SCOTT BOERCKEL, OWNER AND PRESIDENT OF ECD HAS OVER 35 YEARS EXPERIENCE IN THE CONSTRUCTION INDUSTRY. FROM THE DEVELOPMENT AND IMPLEMENTATION OF CUTTING-EDGE TECHNOLOGY, FROM CUSTOMIZED DRAWINGS AND PLANS, TO PROJECT MANAGEMENT, ASSISTING IN ACQUIRING PERMITS AND VARIANCES, AND ULTIMATELY THE INSTALLATION OF A MODULAR UNIT, SCOTT BOERCKEL AND ECD PERSONNEL ARE DEDICATED TO PROVIDING THEIR CLIENTS THE QUICKEST AND MOST STRESS-FREE AND SYSTEMATIC APPROACH TO ENHANCING THEIR HOME LIVING AREA. THANK YOU FOR CONSIDERING EAST COAST DORMER, INC. FOR YOUR CUSTOM HOME ADDITION OR EXTENSION. 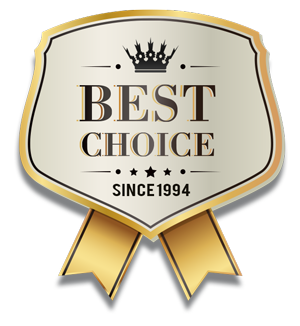 SINCE ITS INCEPTION IN 1994, EAST COAST DORMER, INC. HAS BEEN THE PIONEER AND LEADER OF MODULAR ADDITIONS AND EXTENSIONS IN THE NEW YORK AREA.  OUR GOAL IS TO PROVIDE YOU THE MOST STRESS-FREE AND SYSTEMATIC APPROACH TO ENHANCING YOUR HOME. OUR COMMITMENT TO OUR CUSTOMERS IS SECOND TO NONE IN THE MODULAR ADDITION INDUSTRY. 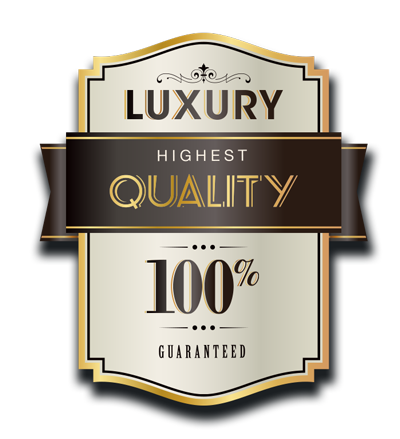 OUR HIGHLY TRAINED AND DEDICATED STAFF’S GOAL IS TO EXCEED EACH CUSTOMER’S EXPECTATIONS. FROM IN-HOUSE DESIGNED PLANS AND DRAWINGS UTILIZING CAD SOFTWARE, TO PERMITS AND INSTALLATION, AND SERVICE, EAST COAST DORMER, INC. IS PERFECTLY POSITIONED FOR OUR CUSTOMERS TO BENEFIT FROM OUR SPECIALIZED KNOWLEDGE AND EXTENSIVE EXPERIENCE. I INVITE YOU TO VISIT OUR SHOWROOM TO SEE AND FULLY APPRECIATE WHAT EAST COAST DORMER, INC. HAS TO OFFER YOU.